This is your last clue for the day. Remember you have until 9am MST Feb. 5th to finish your project to win. 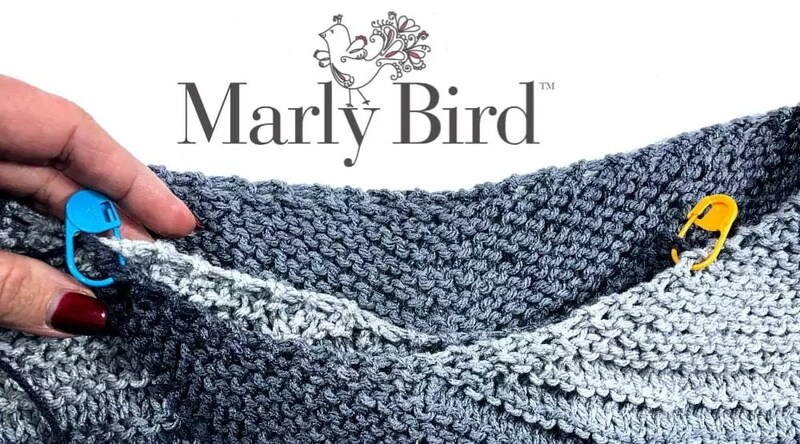 Be sure to be in the Marly Bird Facebook group and to have your pattern posted on Ravelry. Don’t forget to favorite the pattern too in Ravelry. 4, 5 and 6pm Knit Clue Game Day Mystery Make-along– Pattern–Last two clues! 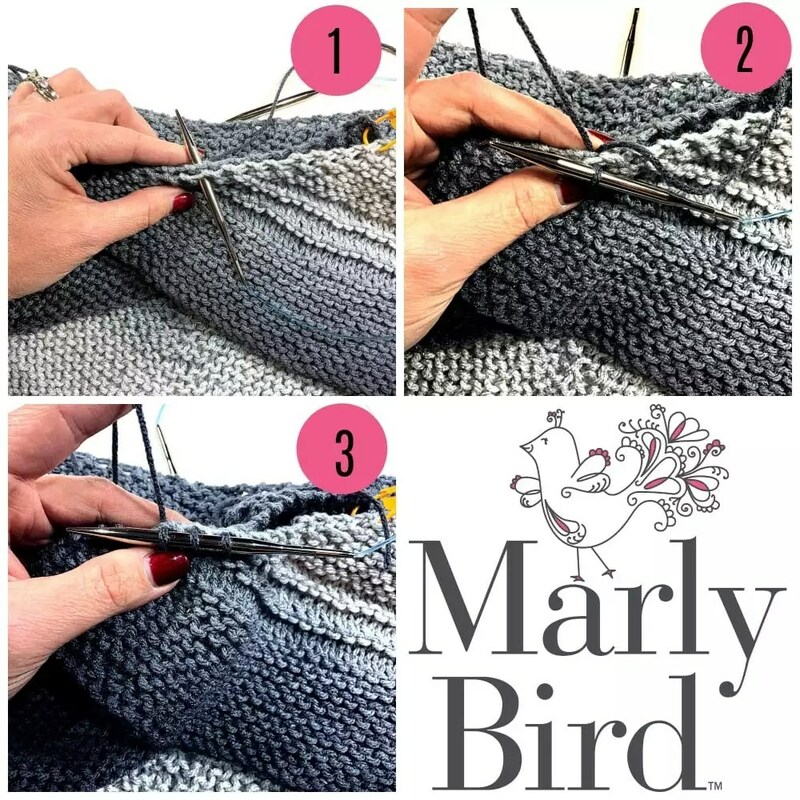 Designer’s Note: If you have a lot of yarn left and would like a bigger cowl section, just pick up more stitches or knit more sections at this step-your choice! Lay the finished piece down with wrong side facing you. designer note: yes, I know I messed up a couple sections but pay no attention to those “design features” 🙂 Pay close attention to the marker placement. Now, I promised to write these instructions for both in the round knitters and flat knitters…so find your instructions. 4. Pick up and knit 86 stitches evenly around entire wingspan working through both pieces of fabric when you are on that section between the markers. This will join them together similar to a 3 needle bind off. 5. Place a marker on right hand needle to signify the start of the round, and join to work in the round. Repeat last 5 rounds 3 times; then knit 4 round. Garter Stitch (worked in the round): * knit 1 round, purl 1 round; repeat from *. Work in Garter Stitch (see special stitches) for 2 inches ending after a purl row. Please note that if you are knitting this straight you will have to seam at the end to close. With RS of piece facing you, start at the marker and pick up and knit 86 sts to the next marker. Repeat last 5 rows 3 times, then knit rows 1-4 once. Work in Garter Stitch (see special stitches) for 2 inches ending on a wrong side row. Whip stitch these two edges together with the bottom edge of the cowl. 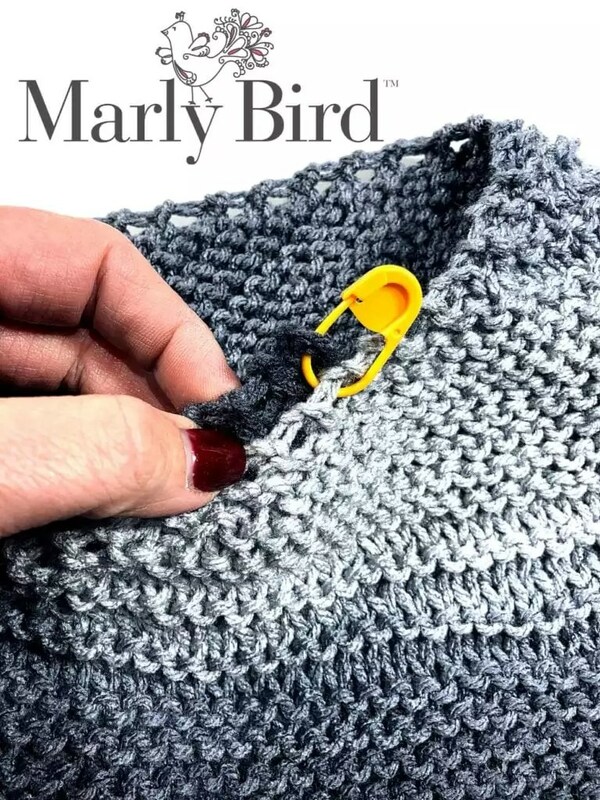 Once you have finished your mystery project you post a photo on the Marly Bird group page, on the finished project post, for a chance to win a prize package from Red Heart. All finished project photos must be submitted by 9am MST Monday February 5th. Winner will be announced on Monday February 5th. US and Canadian residents only. We will give away one prize package for every 100 finished projects posted (one entry per person please). That means if 400 people post finished projects by midnight we will give away 4 prize packages. The more people that participate the more chances you have to win. Be sure to share the make-along with friends you think will love this.